September 2013 – NWCCSports.com | The Official Site of the Northwest Central Conference for NWCC news, NWCC scores and more. The first Football Weekly Computer Point Ratings were released and 2 schools are ranked in the top 8 in their region. Fort Loramie is ranked in the 2nd AP State Football Poll. Fort Loramie is ranked 11th in Division VII in the 2nd AP State Football Poll. 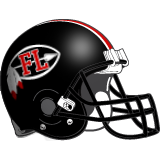 By admin|2013-09-26T00:43:04-04:00September 26th, 2013|Football, Fort Loramie, News, NWCC, Scores|Comments Off on Fort Loramie is ranked in the 2nd AP State Football Poll. The NWCC has 1 school represented in the 1st AP State Football Poll. Fort Loramie is ranked 12th in Division VII.